You’re frustrated and a little angry. There should be a way to help your child succeed in the math without you needing to relearn everything yourself. 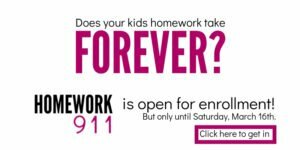 Call this your math homework help for parents. Math worked perfectly well, right? I mean, you and I turned out OK.
As kids, success in elementary school math meant memorizing procedures and doing those procedures perfectly each and every time. If we came up with the wrong answer, it meant that we missed a critical step and we needed to comb through the problem to find our error. While some of us excelled at that (I’m looking at you fellow perfectionists), others were completely lost. In fact, some of the procedures didn’t even make sense. We couldn’t explain WHY we were doing what we were doing. When presented with a problem where the correct procedure to solve wasn’t immediately evident, many of us could think of no alternatives to try. Since math didn’t make sense, problem solving didn’t make sense. If you ever labeled yourself “bad at math” and shut down, this is why. It’s not because our education system is a horrible mess – it’s really not. It’s how the rest of the world is measuring math intelligence. In the book, The Smartest Kids in the World: And How They Got That Way, journalist Amanda Ripley cites data from the international PISA test used to compare kids knowledge throughout the world. The PISA is not your typical multiple choice bubble-in test. Rather, it asks complex questions that require advanced problem solving and a WRITTEN response. Our kids pale in comparison to kids in Finland and South Korea. Even when accounting for poverty level, nations like Poland are doing better than the US. All because we are teaching students to be inflexible in their mathematical thinking. To remedy this, educators have changed how math is taught so that one problem can be solved my multiple strategies. Ultimately, every problem should make sense to the student solving it. Teachers teach these strategies one at a time so that kids can see their options. So, what can you do at home when you have no clue how your kid is expected to do the problem? Your kids are sitting at the table, head in their hands and you aren’t quite sure how to help. As a teacher, my student’s homework showed me what they did and did not understand. It informed how I structured lessons, what I chose to spend class time on and how effective my teaching of a particular topic was. I know as parents we feel like we need to do every possible thing we can to help our kids succeed. But, if students don’t understand how to complete a particular problem, the teacher needs to know. Trust me, there is no shame is leaving a piece of homework undone. In fact, if you want to write your student’s teacher a short email as well letting her know that your child had problems, that works as well. There are many successful business leaders who have googled their way to success. I’m going to make it easier for you though and suggest two of my favorite math websites that have excellent explanatory videos and make this new math seem easy. Don’t think you need to watch these videos on your own and then reteach your child. No way! Instead, watch them with your kid at first. They may have trouble grasping a new teaching style and your explanations can help fill in the holes. But then, your child will get used to these sites and be able to use the videos without your input. That’s the goal, right? Teaching kids how to consult outside resources to solve their own problems. I used this site in my classroom all the time. You do need to create an account, but it’s absolutely free. Simply search by your child’s grade level and whatever method they are working on. Learn Zillion gives you a video explanation of the strategy and how to attack the problem from there. 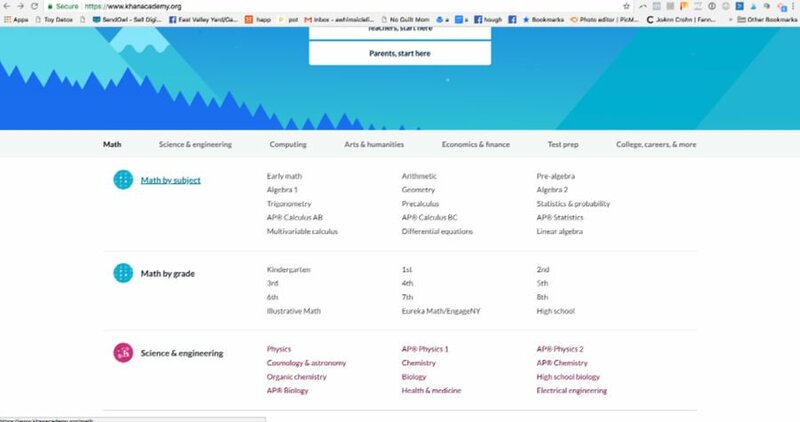 Khan Academy covers everything from early math to college level Calculus. It’s a site where you can learn practically anything. Just like Learn Zillion, you can find a video for any strategy you desire. Simply scroll down the main page and search by either grade level or topic. 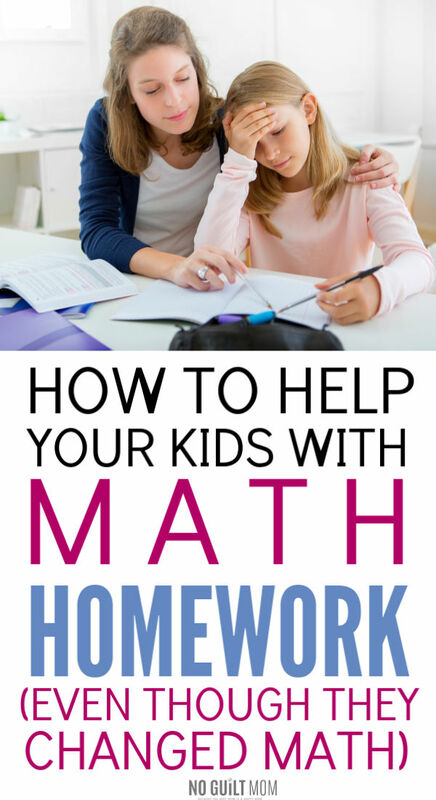 You shouldn’t need to dread your child’s math homework each night. It is OK to leave problems unfinished and you don’t need to stress. And if you want additional help, try Learn Zillion and Khan Academy to help fill in those extra holes. If motivation is an issue for your kid, make sure to also grab this free e-book with 4 easy strategies that will have even the most reluctant kid completing their homework each night.